The Arlington by Alexandra Grecco is a beautiful A-line gown with a flirty front slit and small train (with bustle). 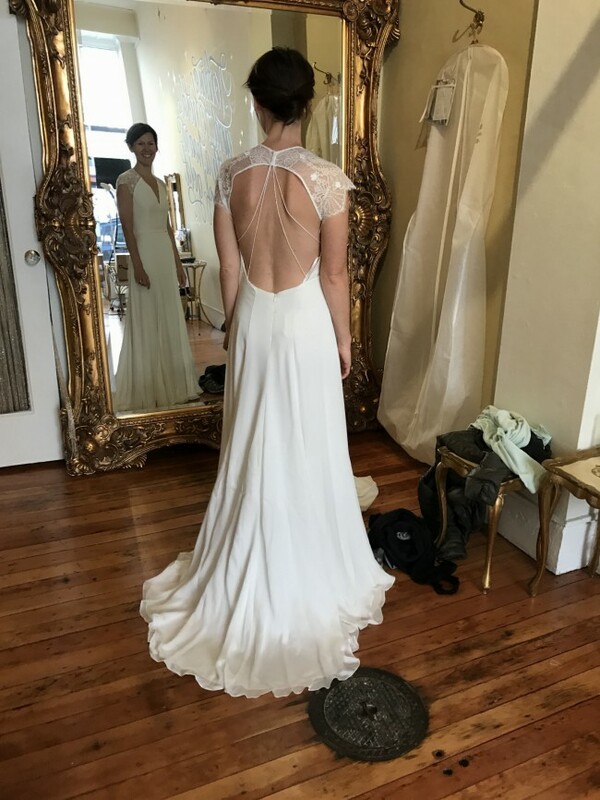 The delicate lace shoulders and thin straps add just the right amount of detail to create the most beautiful back. This gorgeous gown is 100% satin face chiffon and is available in Off White. I felt amazing in it and it photographed beautifully both standing still and while twirling on the dance floor. Really unique. Reduced train and included bustle. Altered to fit my 34A chest. Minimal staining at hem but could easily be altered off.